How is Augmented Reality Transforming the Sports Industry? Are you a fan of sports or do you have a business in the sports industry? Then you may know that in the world of sports, the fan experience is changing forever. The days of one-way viewing of games through a handful of channels are going to be a thing of the past. These days, with our increasing connection to our smartphones, what fans now want is a personalized 1-2-1 experience that will be available to them 24/7, whether they are in the stadium or at home. And this is exactly where Augmented Reality (AR) comes into the picture. 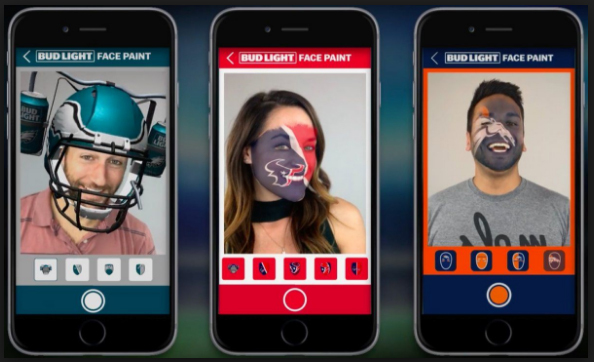 With AR in the sports industry, sponsors, teams as well as event organizers get the opportunity to transform their physical touchpoints into multimedia content. With the new soccer season underway, here are shared some of the best ways in which the sports industry can make use of AR to harness the power of mobile for themselves. This can drive everything including data collection, fan engagement and app downloads. In order to secure a more fair game, AR can be applied to different sports competitions. Of course, we have already watched the work of the Hawk-Eye system in action for several years now. With this technology, a three-dimensional representation of the ball’s trajectory is provided. It is used in sports including hurling, tennis, cricket, badminton, Rugby Union, Gaelic football, association football and volleyball. It is expected that in the next couple of years, especially at the time of Olympic Games in Tokyo 2020 we will see more implications of AR into the competition. Love watching sports live at the stadium? We love too! It feels great to see thousands of fans around you cheering for the team that you support. Now, do you miss the eye-catching visual content that contains useful information about the game, team and the players in it? This gap can be bridged by the augmented reality technology as it enables the real-time merging of the real world with the virtual world. So, is this actually possible in a stadium during a live match? Well, the answer is “Yes”. It has been made possible by Panasonic through their Augmented Reality solution during CES 2018 (Consumer Electronics Show). They demonstrated the fusion of 3D projection mapping and AR and provided an out-of-the-world experience at the future stadium. In fact, they are aiming for a paperless entry in the stadium with the help of face recognition technology. Awesome, right? Of course, watching sports at the stadium is quite different from watching it at your home on your television screen. However, it allows you to enjoy it with a lot of discussions, commentaries and graphical analysis done in an extremely professional manner. Do you know that the match that you watch on the TV is not exactly the live telecast from the stadium? Yes! It’s an augmented version of the live video feed that is captured from the stadium ground. With the use of Augmented Reality in sports broadcasting, you can not only visualize the trajectories of the ball or the player with the help of virtual curves and lines, but also watch the footage of the live game that’s been projected on the studio floor in 3D. In order to make sure that they play better and win, the sports teams, sportsmen as well as their trainers are always looking for new ways. This is where new technologies work as a huge bonus for professional sportsmen, as those technologies help them to not only improve their techniques, but also estimate the pros and cons of the practice. If AR is used in the sports practice, the sportsmen will be able to get real-time data about every hit, push, jump, throw and run distance. With this information, they can change their technique, correct their actions and make the right decision. In the sports industry, one can apply AR through Augmented Reality apps for mobile devices, smart glasses and 3D projections. Advertising and sports go hand in hand. For promoting the sponsored products or services, every team, club or player gets high payments. 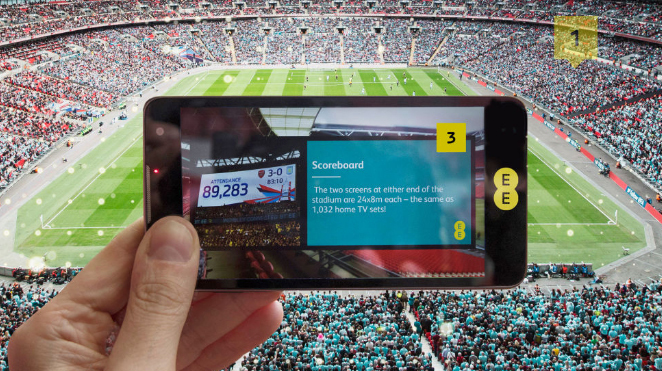 With AR in the sports advertising, the brochures, stands and posters in the stadium or field will become more entertaining as well as engaging. With an AR app, you will get to unlock the digital objects or special information from the promotional materials. Also, with the AR technology, you get to collect information about the customers and offer them customized advertisement. This will enhance the fan engagement and retail sales. Does your business belong to the sports industry? Then augmented reality apps can act as a successful marketing tool for you. Digital Aptech is an expert in creating awesome AR apps. Want to connect with us? We are just a call away! © 2019 Digital Aptech Pvt. Ltd. All Rights Reserved.